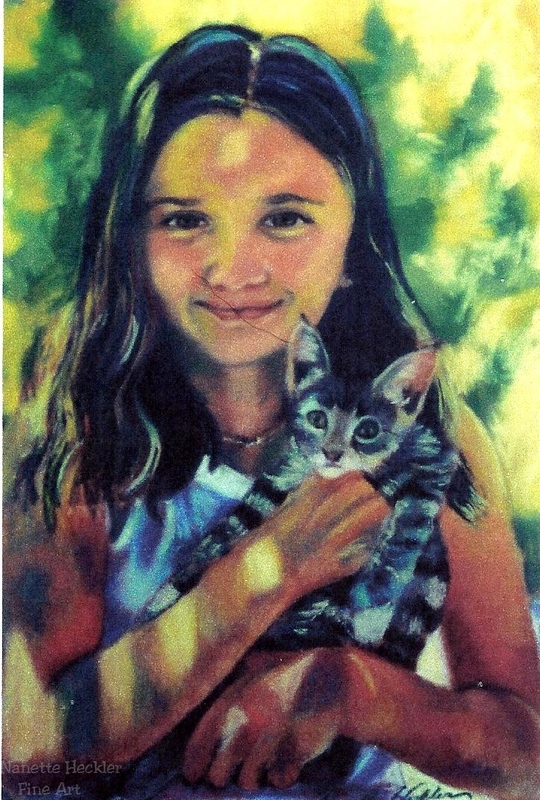 Contact me if you are interested in commissioning me to paint a portrait. I like to take my own photographs and the photography session is included in the overall commission price. How do you do this? I can feel what they both are feeling, her enjoyment, the kitty being so relaxed. Amazing! Thanks Becky. This was a commissioned piece and when the person got it from me, he paid me double of the agreed upon price. That was very nice!